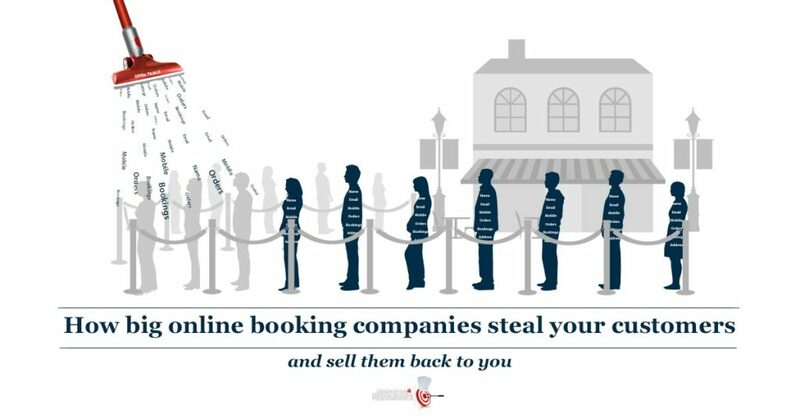 We discuss the important matter on how big online booking companies steal your customers and sell them back to you. This happens a lot, even without you knowing, it might already be happening to you. We talked to Kyle Welter. He works at Tock, an ethical online booking and restaurant management software company. We look at how Google Adwords works for Restaurants. Not many Restaurants use Google Adwords, but online booking companies like OpenTable and Dimmi use it very aggressively. They use it to come between their ‘Restaurant partners’ and the restaurant customers. We look at Arbitrage. This is the process where you buy something in one market and sell it in another market at a higher price. Online booking companies like Dimmi and OpenTable use Adwords Arbitrage to steal your customers contact details. They don’t even share customer contact details with you! They create the impression that it is their marketing that is bringing customers to you, when fact it is often your existing, regular customers. And actually, OpenTable is charging you a higher price to take that booking. The email address is the easiest way to communicate with your customers. Adwords Arbitrage allows Dimmi and OpenTable to get between you and your customers. Online ordering has very similar practices. Restaurants are paying 13% commission. Despite the charge, they are not getting their customers’ email addresses. This means restaurants can’t remarket to the customer. They have to rely on JustEat, Menulog or GrubHub to provide them their next customer. This is how online ordering aggregators build dependence on their platforms and extract such high fees for doing it. The impact for restaurants can be crippling. We see restaurants paying over $1,000 a month in commissions. For high traffic restaurants, it can be a lot higher. For some restaurants, it can be the difference from staying in business and bankruptcy. Or being not profitable and profitable. The choice of booking or ordering partner is a crucial part of your marketing plan and even your entire business plan. We talk about dynamic pricing. This as an area that Tock specialises in. Charge more for your peak times, and drive demand out into the shoulder times. Airlines drive yield utilisation with dynamic pricing. Popular restaurants should be looking at charging different prices for different tables, different days and different hours to dine in their restaurant. Dynamic pricing with prepaid bookings significantly decreases no-shows as well. We also talk about the Google Knowledge Panel and how restaurants can better manage it. The best advice is to open Google Chrome browser and go into incognito mode. Search for your Restaurant. Look at who is running ads and look at the information in the Google Search Panel. You may want to try different times of the day. This will give you a really good idea of what your customers are seeing when they Google for your Restaurant. 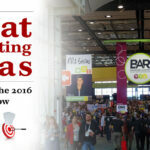 James Eling: Hey, it’s James from Marketing4Restaurants, and welcome to episode 53 of Secret Sauce, the restaurant marketing podcast. AdWords Arbitrage. James: Hey everyone, welcome back. I hope you got a lot out of the two parter where we discussed the MasterChef effect. It is really interesting how a lot of restaurants really struggle to get everything sorted out for when they do have that massive public relations win, which drives so much traffic to their website. And they really do fail to capitalize one it, and I think that’s sad because that’s the reward that you get is that public relations for all of the really, really hard work that you’ve put in in building your restaurant. And you want to try and get the maximum economic benefit out of it. Today’s podcast, we’ve got a special guest Kyle Welter from Tock in the United States. He’s an ex-Googler and expert on a practice known as AdWords Arbitrage. Now, we’ve been talking a little bit about this, we’ve been sort of hedging around the edges of it. I thought it’d be really good to talk to Kyle because he understands this really well. And the sad thing is that this practice is costing some restaurants tens of thousands of dollars every year. And because they know that it’s going on, they’re completely missing it. And there’s plenty of things that you can do to save on that money and, realistically, isn’t $10,000 or $20,000 a year better off in your pocket than someone like Open Tables? So, let’s get into it with Kyle from Tock. Hey Kyle, welcome to the podcast. Kyle: Hi James, thank you for having me. James: So, do you want to start of just telling us a little bit about your background and what it is that you do and what your area of expertise is. Kyle: Yeah, of course. So, out of school I started working at ad and media agencies, and that’s kind of where I got a glimpse of the online marketing world. Spent a few years doing that, and then I switched over to Google once they started growing their display ad business and helped consult clients. And basically, how to invest money into the internet and, more often than not, make money, make more money than they put in. and towards the later part of that career I spent a lot of time focusing on content creation and helping advertisers understand how to use online video on YouTube more than just putting commercials up and making content that people actually want to watch. And from there I really had a desire to work with actual partners instead of just clients, and I really wanted to own a little bit more of a product and that’s why I was very much attracted to Tock. It’s this really stellar team in a really interesting space, with a supreme value at the market and that’s what I’ve been doing over here. And my goal is basically just to build Tock awareness within the restaurant industry. James: Excellent. So, you’d be fairly knowledgeable then around the whole AdWords platform and fairly well placed to talk about AdWords Arbitrage. Do you want to just run us through what AdWords Arbitrage is? James: It’s a truckload of spend that goes towards AdWords, isn’t it? Like, it’s just a, and this is one of the things that I find so amazing is that, you know, people who are only just discovering AdWords now, or digital marketing in any sort of shape, and it’s scary to think what they’ve been wasting their money on in some of the other forms of advertising that are out there. Kyle: Yeah, exactly. And I think one of the reasons why Google’s made so much money on it is because it’s fairly honest and they provide quite a bit of tracking in terms of, like, for every dollar that you put in they tell you exactly how many dollars they you get out. Now, the question of how much of it is a true incremental is always in the air, but it’s very transparent as a platform. Whereas, if you’re spending media dollars and newspapers and print ads, you might be able to infer results but it’s super hard to do, super, super hard to do. James: Which I think is weak, you know. Kyle: It’s a beautiful thing to say. And we’ve seen what’s happening to that industry. James: Absolutely, yeah, yeah. So, Arbitrage. How does this Arbitrage sort of play come out then? Kyle: Yeah. So, I guess Arbitrage in the traditional sense is just simultaneous buying and selling of some asset or service or whatever it might be, and taking advantage of differing prices for the same asset. So, in the context of the restaurant world, the restaurant reservation or guest is something that is being bought and sold. So, if you think, if you take the perspective of the customer or the diner, they say, “I have heard about this great Italian joint down the road, I’d love to go dine there.” That customer goes and they search for, you know, ‘Italian restaurant reservations’ and there’s a whole battleground in terms of who can rank higher on the organic side and it’s called SEO. And Open Table, turns out, is pretty good at doing that because Google sees that they have pretty rich data around it. They have the name, they have photos, they have some reviews, they have the address and, more importantly, they have inventory. So, they have those reservations, whatever booking service it might be. So, let’s say a restaurant does a really good job and outranks Open Table on Google search. Open Table and many other people, more often than not, will buy Google AdWords to ensure that they rank higher. Why? Because depending on the pricing model, more often than not, they charge a dollar per reservation that comes directly through Open Table. Or, 25c for every cover that comes through the restaurants website. So, there’s a 75 per cent, you know, wriggle room per diner in order to pay for media to ensure that people go through said booking system versus the restaurant website directly. James: And then when you start thinking about the long-term value of the customer, so Open Table’s getting that email address, they’re getting the date, they’re getting the intelligence that someone wants to dine at that restaurant. James: That transaction’s actually fairly lucrative. James: And they’d probably buy that transaction at a loss, I would have thought, just to be able to build up the dining pattern and all of those other sort of things, the long-term value, particularly if they can get someone to download the app. And how many of those were truly discovered on Open Table is definitely not called out, and that would definitely contribute to that number. It was a pretty brilliant proposition on their end, and we actually just saw on their jobs listing site that they’re hiring more people to manage these exact AdWords campaigns, which is quite entertaining. James: Well, it’s entertaining in one way, but I think it’s really sad because so, in Australia, where we’re based we see a lot of, so, Dimmi does this quite a bit. Open Table has nowhere near the sort of market penetration that Dimmi has, and quite often you will see a restaurant say, “But Dimmi does so much marketing for us and brings in so many customers to us.” Because the colourful thing is that when you get them to Google their own restaurant and they go, “Well, hang on a sec, there’s an ad there.” And it’s like, “Yes, all they’re doing is they’re targeting your restaurant name.” That’s not really marketing, they’re just trading off your brand name. Kyle: It’s kind of just hunting. It’s like picking off the easy pickings. James: Yes, yup. And, you know, you get into those platforms then, of course, I’m assuming Open Table, if you’re a struggling restaurant owner you can go to Open Table and they’ll come up with some sort of crazy plan where they’ll send out emails suggesting people go to your restaurant. Kyle: Yeah, which I’ve never ran into anyone else, I can’t speak to how successful it might be. But kind of the concept of giving your diner data to them, which they’re then able to use to market to other restaurants in the area, it’s just something I would get a little bit protective around. The whole practice of it just feels a bit off in my mind. James: Look, definitely I think. So, what Dimmi does in Australia, they have these things called flash deals where a restaurant will offer a 50 per cent off coupon if you book through Dimmi, and those are emailed out to people. Now, they’re being emailed out to other restaurant’s customers, which is really quite spooky. Kyle: Yeah, it’s quite important to own your own guests and own the relationship with them, the communication with them, etc. Yeah, that’s not very optimal. James: No, no, no. So, Tock tends to operate in the, you know, more of the premium and fine dining space. That email list, the email list of people who would eat a fine dining restaurant is worth so much more than your average local Indian takeout, one would have thought. Because of the fact that the number of people who are prepared to, you know, to drop $200 on a meal is a lot less than people who are just looking for a really good chicken Vindaloo. Kyle: Definitely. Yeah, it’s definitely more segmented, harder to find, etc. And I feel like in today’s world the email address is a huge part of your online identity, it’s what you use to log in to Facebook, Google, Instagram, etc. And, from a marketing perspective, the email addresses is basically the way that most of these platforms allow you to speak directly with them. So, an email, in the simplistic forms, is you have your guests. Let’s say, you know they dined with you last New Year’s Eve, and you say, “Hey, we’ve got this wonderful New Year’s Eve dinner coming up. We’d love if you could join us again.” That’s super valuable and from marketing cost perspective, sending emails is very cheap whatever you use MailChimp or Constant Contact whatever it is, it might be a few hundred dollars a month if you have a huge list. More often than not, you can usually do it for free. And on the Facebook and Instagram and even Twitter, in Google world they have these abilities to, what you can do is you can take your diner list and upload all of those email addresses. And what it helps you do is find those customers online. So, if you know that somebody, again, joined you for a specific dinner and, let’s say, your chef has refreshed the menu etcetera. It’s an opportunity to say, “Hey, come in and join us again. Here’s something new going on at the restaurant, we’d love to have you in.” That email is super critical in almost all of those areas, which I feel like that’s one of the main reasons why we build Tock is to make sure that all the restaurants own their own data and that it’s never being used to promote other diners to other restaurants. James: One of the things I say to restaurant owners is, “If you’re sharing your customer database with someone like an Open Table or a Dimmi, you may as well let your competitors in to cook in your kitchen.” You’re giving everyone else such a big hand up, you know, what else is there left? Your email database is the crown jewels. Kyle: Yeah, exactly. It just kind of feels like it’s something that you’d do if you just want to focus any mental energy to it, you’ve just kind of given up and it’s like, “Alright, let me put it out there and see what happens without being able to control your own fate.” Might work for some people but probably not the smartest way to go about it. James: Exactly. It’s a fairly widespread practice. In Australia you see Menu Log doing they’re very, very aggressive in it. One of the things that I find really interesting is when you go to compete for these keywords, the restaurant name is sometimes it’ll be $5 to get that click. If you fall back one step to go to, you know, pizza in the suburb, that can be a dollar a click. So, they’re not actually competing for the cuisine, they’re not actually competing for the location. They’re actually competing on the specific restaurant name, which I think is really, really, really scary. Kyle: Yeah. That’s a tough one. I have never heard of that practice, that’s shocking. James: Well, you know. So, Menu Log was bought for $865,000,000. Kyle: Nice, good for them. Bravo. James: It is, it’s a fantastic exit for the Menulog guys. But their new owners are fairly keen to, you know, to capitalize on that investment that they’ve made and, of course, they did that before Uber Eats came out and Deliveroo. So, they have a lot more competition, they’ve lost a lot of restaurant. So, they’re really peddling pretty hard to actually try and make up the loss of customers that they’ve got. And this really aggressive AdWords campaign is one of the things that they do. Kyle: Yeah, that’s a tough one. I love the idea of extending the ability of the kitchen to produce more food through offering through delivery, but it seems like that’s a pretty toxic environment to have to rely on in order to find those people that want to buy that food. It seems like a toxic spiral to get into. James: Which is why people are moving away from. It’s interesting, probably the thing that I find is that Menulog – because that bill is, you know, they get that bill every month and some restaurants are paying over $1,000 a month for it. Literally, just for order taking. They’re a company that, you know, a lot of people are looking for answers for because they don’t like, and they don’t even get the email at all. I think, with Open Table, do they share the customer’s email address? Kyle: I believe they do. And I believe there might be some restrictions around it, I’m not fully sure. But I believe it’s after a diner or a guest has dined with you, I believe it’s available to them, yeah. So, at least they don’t hold it. James: Yes, yup. So, Dimmi didn’t used to share it. That changed when they got bought out by Trip Advisor, but in the takeout space they don’t share the email address at all. So, you’re coughing up your customer’s email address to someone who’s going to use for their own marketing purposes, not yours, and you’re paying them sometimes over $1,000 a month for the privilege of having your database stolen. Kyle: And it’s so bad, it’s so bad. You pay so much for a one-time customer that you’re not able to reengage again and have to pay them again. It’s a brilliant business model on their end, but unfortunate for restaurant owners. James: Well, hey, you know, they built a business that they were able to sell for $865,000,000 doing exactly that, which is pretty epic. Kyle: That’s a lot of brain washing (?) unfortunately. James: So, do you have any insight to what the impact is on restaurant in the United States? If they’re a partner, you know, a partner in the true sense of actually having your best interests in mind, more often than not they’ll take it down. But more often than not, most people don’t understand that’s a practice that is happening. So, I don’t know the numbers on it. I do know that an overwhelming majority of diners do start their restaurants research process on, you know, we always say search and social. Some of the surveys and researchers that reports that we’ve ran show that 80 some per cent, 80 plus per cent of people start directly on search and social versus any other platforms in the US. You know, that’d be Yelp, Open Table etc. I don’t know how big it is but I would imagine that Open Table is probably sending in the sums of hundreds of thousands, actually, probably millions a year on this. So, it’s substantial, very substantial. James: Yeah, I would have thought they would be definitely spending in the millions, if not tens of millions. Kyle: Really tens of millions, yeah. Yeah, they have tens of thousands of restaurants, so that would definitely make sense. James: So, yeah. It wouldn’t be a lot of spend that they’d have to make each month to make that start to become a massive sum of money that they’re spending with Google. Kyle: Yeah, exactly. And actually, we have seen, you know, we’ll as restaurants what their Open Table bill is per month and, specifically over here, it’s not uncommon for them to say, “$5,000 a month.” And if some of those diners are truly incremental, wonderful, maybe that’s worth it. But, from what we’ve seen, especially in terms of the Arbitrage practice, the first campaigns that we started seeing kind of pop up were on the high, high demand restaurants. The ones that just have a huge volume and that they know, you know, that they’re always going to be booked. So, yeah, of course pay 75 cents for a click of a person that you know if they find the reservation, will make that reservation. And now we’ve started to see it, you know, they’re expanding into more of the medium demand and lower demand places just because I would imagine it’s a practice that is profitable for them. James: And if it’s not across their entire network, it’s probably going to get that way because in Australia that practice is really quite widespread. Kyle: Is that right? Go on, I would love to hear more about that. James: Well, so in takeout virtually all of them who are doing it will have AdWords Arbitrage campaigns run against them. Dimmi runs them I would have thought probably 75 per cent of the time. Every now and then we will Google a restaurant that’s using Dimmi, and you won’t see it. But, more often that not, there’s an AdWords campaign running there because they know that they can collect those extra dollars. And it’s worth a lot more for Dimmi customers, because they charge $1 if it’s from the restaurant’s website, and $3 if it’s from their network. Kyle: Oh my goodness. Wow, good for them. Kyle: Gosh, that is huge. Unbelievable, okay. Yeah, they have plenty of room to play that game then. Kyle: Google is really brilliant at getting advertisers just to make money on their platform. And maybe it was two or three years ago, but they introduced technology which was really brilliant and what you basically do is they say, “What’s your website?” You upload the URL for Open Table, Dimmi, whoever it was, they would put that. And it goes through, and they’re very good at crawling. They go through and they crawl every single page of your website and they make keyword recommendations. So, you can say basically is automatically build campaigns with this template of ad text that would say, “Reservations available at insert restaurant name in insert city name,” you know, and then pull in a few other offerings in the ad text. And in essentially one campaign you’re able to target every single restaurant and offering type that’s out there, in a pretty efficient manner. So, they’re really brilliant at that. Kyle: Yeah. It’s great technology, it’s great when it’s used for great things. It can be expensive when you’re on the paying side of it. James: Yes, yup. I know one story, we were talking to a restaurant a couple of, it was probably about two months ago now, and she’d rung up with some help and she said you know, “The restaurant has been a long-term restaurant.” It’s her father’s restaurant and she was sort of doing the marketing work for the restaurant. James: And using Dimmi. And I said, “So, tell me a little bit about it.” And she goes, “Well, you know, it’s been around for a long time. Very successful. But, you know, we’ve really started to struggle.” And I said you know, “That’s interesting.” And I said, “Well, here’s a few things that you can do,” and we went through issues that she had with the website, we talked a little bit about some of the Facebook things that she could improve on. And then I said, “And, of course, you’re using Dimmi. Now, you know that they take your customer details from you and they then send out Dimmi flash deals to other restaurants?” And I told her about the first time that we used Dimmi, my wide made a booking at a Mexican restaurant in Melbourne. So, it was lunch on a Sunday and on the Thursday she got an email suggesting lunch at a different Mexican restaurant. It was 3.2 kilometres away from where we ate, with a 50 per cent off coupon for lunch on a Sunday. And I told her this story and the line went quiet. I said, “Are you there,” and I felt really bad because she started crying. James: She had been using Dimmi for 18 months and over the past, you know, sort of 12 months that was when they were starting to see their regular customers slowly not come back. And she was now thinking of how many people had been booking online, and how many of those people had been getting a 50 per cent discount to another restaurant. And how many of those were losing. And this is the thing, like it’s very difficult to say. Because a restaurant experience is subjective, you know, you and I can go to the same restaurant and I might think it’s fantastic, you might not like it. James: One of the things that’s very nefarious is what if a restaurant is 70 per cent as good, and I only have to pay 50% to go there? Kyle: Then it’s a winning prospect as a diner if you care about value, right? James: Well, exactly. You know, I’ve got some options. I can go out twice as much, I can save 50% and, you know, use that for something else. For a family of four it starts to mount up when you’re payi% off coupons, it’s effectively Groupon by stealth. James: The other thing that I have grave concerns about it though is that Mexican restaurant probably cost us, for lunch, maybe $100 and we had a good time, good food, all of those sort of things. Fairly happy with that. Didn’t feel ripped off. When I go out to a place that’s running a 50 per cent coupon, I can have the exact same meal and now I’m thinking, that’s resetting the price where I see value. James: Well, I’m going to spend 50 bucks for lunch, why would I spend 100? That’s going to be twice as expensive. So, they’re bringing down the average cheque size by creating a group of these effective Grouponers, who are just going to follow around. And so, rather than having locality to any restaurant, they increase the loyalty to Dimmi or anyone else who’s using this tactic. James: That’s why that database is just worth so much. Kyle: That’s such a dangerous thing, especially because most diners don’t understand the true cost that it takes and the low profit margins, the most meals. If you’re setting expectation, “Yeah, maybe they’re still breaking even at that 50 per cent discount,” there’s no way, especially if they’re paying for the customer through that flash deal. Going back to your original point around making a recommendation of a competitive restaurant, I don’t necessarily think that making a recommendation to, a relative good recommendation to another restaurant, that doesn’t feel evil on its own. But when it’s to a restaurant that is, you know, that is having to pay for this flash deal and likely not make any money in attempt to kind of swoop in and intercept a diner that’s generally happy at the value for that $100 meal, that seems like a dangerous prospect for both restaurants and the industry in general, that doesn’t seem great. James: Well, and this is where we get, you know, we sort of call it the circle of life. A restaurant owner, one of our customers a while back in Perth said, “The restaurant industry is an amazing industry, it’s full of so many amazing, talented people. Hard working, innovative, all of the good things that you like to see in an industry.” He said, “It’s the bottom 10% that ruin it for everyone. They’re the ones who are discounting, Grouponing, doing all of the unethical things.” And look, you can’t really blame them because of the fact that, a lot of the time, you know, they’re fighting to keep their restaurant alive. Kyle: Yeah, that’s a tough one. One of the things that we do on our platform, and it might sound similar but it’s drastically different, is dynamic pricing. Actually, before I even get into that, in terms of restaurants that feel like discounting is the only way to bring in diners, you know, to your restaurant, the first point to make there is that likely isn’t the right diner that you’re going to want to attract long-term. They’re likely going to show up, go there because they can get a good value and then get out. It’s probably the wrong type of customer to draw in. And, in addition to that, there are smarter ways to use those potential, you know, costs that you take out and actually control a specific message to a specific group of diners. So, Facebook and Instagram and Google, Google’s a little bit expensive but Facebook and Instagram are extremely, extremely cheap and efficient media outlets. So, take that $50 that you have to discount from the meal, and put that into targeted ads and I guarantee the return on that – we’ve seen the returns that some of our partners at 80 to 1. Now, that is definitely an outlier, so that’s for every $1 that they put in they got $80 in revenue back, it’s huge. Typically, we see lower than that, but it is for sure greater than the amount of costs that you have to put into a discounting deal and it allows you to control a message, actually increase brand awareness, bring in the right diners, actually build a relationship and loyalty with them. That’s a tough one. And then another thing. Going on the dynamic pricing. Pricing doesn’t always have to be discounting. You should always be trying to optimize the revenue per available seat minute. This is a concept that’s huge in airlines, pricing passenger revenue for available seat mile. Kyle: And restaurant’s available seat minute obviously. If you know that your restaurant will be full, undoubtedly, between 7 and 9pm. And let’s say you have a set experience, whether it’s a set menu, there’s no reason why you shouldn’t at least consider raising the price during those high peak demand hours because there will always be people that will pay more for those prime hours. And then what that enables you to do is discount your shoulder time, so it enables you to push the demand from that overly saturated, you know, peak time and push it out to the shoulder times. And that has really done wonders for a lot of the partners on Tock, and it’s something that very few people are using and I’m truly excited about. And I really hope more people actually take advantage of. James: I think that this would have to be the future for some restaurants, I don’t think it works for all of them. James: You need to have a certain level of demand. But one of the things that I think is really interesting is, we talk about it for dine in, I actually thing that there’s an opportunity around it for takeout, as well. Dynamic pricing in takeout context, as well, because you will see some restaurants will do, I think it’s like 50 or 60% of their revenue in six hours of the week. Kyle: Wow, these are just dinner time every day. James: So, Friday and Saturday night. So, you know six until nine, six until nine, Friday and Saturday. That’s when, you know, they’re getting smashed, they’re getting more orders than they can handle. The opportunities there to put the price up 10% on those days, because the demand’s there. Particularly, and I think one of the things that you see as being a big issue is that you’ve got restaurants that are doing a really good job. They’re able to command that premium and for those guys, and so in a dining capacity it’s those guys who are booked out one or two months in advance. They obviously have better seats then, you know, not all the seats are the same in the restaurant. Kyle: Yeah, of course. I feel like most people are too, like every restaurant that is full every single night, I feel like that’s an issue. It’s a missed opportunity because obviously people think there’s immense value at the current offering and price so there’s no reason, in terms of a fair economy, why you shouldn’t want to increase that price, right? Kyle: I feel like, if you have just one or two seats empty per night, you’ve reached like critical capacity, that’s perfect. You should never be fully full all the time. James: And I’ve asked this question of a lot of people, what’s the difference between a restaurant and an airline? And there’s very little. No one can really clearly articulate. You’ve got a value proposition, you’ve got a wasting asset. If you don’t fill that seat, if no one’s on that seat, then you’re not making any money from it and you can never get tonight back. Tonight’s gone. Kyle: Yeah. The difference is just that airlines have revenue management teams of economists that figure this out and raise prices to that upper limit. James: They sell the last seat for a hideously expensive price. Kyle: That’s exactly it and airlines are super smart about it and they have, you know again, they’re build out of algorithms which aren’t super hard to do but that look at how many people are querying their databases per second for specific dates and for specific times, and they just adjust those prices on the fly. It’s not uncommon to be searching for a flight, you know, doing a little bit of shopping research around then you look again, five minutes later, and the price has gone up because they might see multiple people looking at it and they’re just testing to see what you’ll do. It’s pretty brilliant in terms of a business perspective, and that’s a hard industry to operate in. Super low margins unless you’re one of the countries that the government subsidies the airlines, which is pretty much everywhere but the United States I believe. James: Yeah, I don’t think there’s a lot of subsidizations in Australia, there’s a little bit of control as to the routes that you can fly and things like that but, yeah. Like the restaurant industry, super tough as far as margins and things like that go. Kyle: Yeah, and an expiring product like you said, which is a tough world to live in, right? Kyle: That’s something you feel, yeah. If you can control that there’s no reason that you shouldn’t be taking active measures to control, and actually finding a new diner for that versus blindly relying on these partners that promise the world and then hope that somebody shows up. James: Now, so the Google Knowledge Graph. Do you want to just talk us quickly through that? Kyle: Yeah. So, if you go to Google.com and you search anything that you’d like, more often than not, on the right-hand side there’s a little panel it’s called the Knowledge Graph or Knowledge Panel, I think people typically refer to it. And if you think of what Google’s core proposition or what their goal is, it’s to get you the information that you’re looking for as quickly as possible, and get you off Google. It’s actually a pretty interesting business challenge. So, what they typically do in that Knowledge Panel is they see, you know when people go to websites, what information they’re looking for. More often than not, in terms of restaurants I would imagine it’s the restaurant especially just because that’s what shows up, it’s the name, it’s a few photos, it’s the offering, maybe it’s a couple of reviews, and then it’s where to make reservations, and maybe where to find the menu. So, it’s kind of like the core vitals of it. So, you know, if they can get you that information that 90% of people are looking for 90% of the time, and not without having to click through a page, brilliant, they’ve done they’re job. Now, where that becomes a little bit risky for restaurants is one of the key details surfaced is reservations, and because – I’m not sure how it is in Australia, I could do a quick search and see – but in the US under reservations it links directly into Open Table. So, if somebody’s searching for, you know, Italian restaurant, whatever, whatever the restaurant name is, and they click on that reservation link, it goes to Open Table and the Open Table network, you know, claims that as an incremental reservation, they charge a dollar per cover. I can’t reference any specific stats around it, but I do know that there is a huge amount of interaction happening on that Knowledge Panel and it is just one of the reasons why, as an owner, you should definitely just choose to partner with somebody who isn’t incentivised to just kind of squeeze in and take your customer away from you. Or, at least, control the reservation experience. Kyle: Yeah, yeah, yeah, exactly. Kyle: Yeah, exactly. And actually, let me do a quick search. What’s your favourite restaurant in Melbourne, or one of your favourites so you don’t have to pick a favourite? James: It’d have to be Lume. Kyle: Yes, there we go. We love them so much. Good choice on that one. James: They were on MasterChef on Monday night. James: They were on MasterChef, do you have MasterChef over there? Kyle: Yes, I heard Chef [Shaun] Quade was on, right? James: He was, yeah. He crushed it. Kyle: How was the episode, was it entertaining? James: It was quite funny yeah, a couple of the contestants cried because they were trying to do pearl on the ocean the floor. James: I think there was like 150 steps in creating it or something. Kyle: They literally broke down in tears? James: Yeah, yeah. There was a few hiccups. Kyle: I’m going to find that streaming and watch it immediately. James: So, we host their website, we peaked out at 1,141 people on their website simultaneously. Kyle: No way, unbelievable. I know Veronica mentioned they saw a huge amount of reservations just come in during that evening. Kyle: That’s brilliant, that’s great PR. James: Absolutely, absolutely. Yeah, well we were serving up 25 page views a second. Kyle: Wow. Wonderful, and that will probably have residual effects, right? People will continue to watch that for years and years. James: Yeah, so we’re now four days on and they’re still getting probably four or five times the traffic that they were getting before MasterChef was on. Kyle: No way. And all those people are going direct to the website? Kyle: That’s great, brilliant for them. I love that team, we’re huge fans. James: They’re very, very talented. Kyle: Yeah, and just to show they’re innovators and they’re movers and shakers, and they’re the first partner that Tock has from a reservation platform in Australia. And I think they’re still, you know, they’re one of the few restaurants over there that we just respect them immensely. I mean, they view the world a little bit differently. Veronica has background economics, Chef Quade just views the world a little bit differently in a brilliant way. And magical things happen over there. James: Absolutely. And I think Australia’s starting to wake up, that the amount of investment required to do fine dining is not insignificant and you need to be thinking – see, one of the things that Tock does an amazing job is decreasing no shows. Kyle: Yes, that is one of the core propositions that we love to talk about. James: Dimmi talks about all of the things that they’re doing to stop no shows, but effectively they’re really quite ineffective. Kyle: Is that the blacklist they’ve talked about? James: Yeah. So, you could just sign up with another email address. James: You don’t have to be a rocket scientist to get around that. Kyle: It literally takes a second to setup an email address. Kyle: You know, I appreciate the effort and it is a good thing for the industry. But as you call out, it’s just a weird way to go about solving actually a really big challenge. It’s just a weird kind of half-assed way about going at it. James: And Australia’s a bit weird. There’ll be people who will make a booking for 10 for tonight at four different restaurants, because they haven’t decided which restaurant they want to go to. James: So, they’re keeping their options open, which, I mean, that’s just madness. When, you know, when you get a party of 10 not show up and you’ve held that table for them, that’s going to put a significant dent in the revenue if it’s a smallish restaurant. If you’re a 50-seater, you’re in big trouble. Kyle: It is so hard. Similar to On the Road, I wish that the world would make it required that every driver get a motorcycle license and understand how it is to ride a motorcycle on the road just so you can empathize with them and be a little bit more aware, I wish it was a requirement that every diner had to do or work in a restaurant at some point to understand how much energy, you know, all the blood sweat and tears go into running this experience. That literally the only goal is to provide a wonderful experience for the guest. So, just by making multiple reservations that’s just such a crippling thing that, if people understood what it meant to the people, you know, behind the restaurant, I just don’t think many people would do it. That would be a rosy situation if everybody had to do that though. James: Yes, yup. And it’s the same with people leaving reviews, I think. If you actually worked in a restaurant, if you saw all of the hard work that went into producing, you know, the food and the experience and all of those sort of bits and pieces, people would potentially not write some of the things that they write in their reviews. Kyle: That’s exactly it. And you mean said this right as we started talking, it’s like everybody has a different opinion, different taste, different desires. You know, some people love dive bars and some people love wonderful craft cocktail bars, and so what’s appealing to some people isn’t appealing to others. So, when a review is delivered as a definitive review, in the sense that everybody’s a critic, it just inherently is flawed. Kyle: It will never truly, purely be accurate. James: So, bringing it back all to where we started, AdWords Arbitrage. So, people, the first thing they should do is really Google the name of their restaurant? Kyle: Yes. Or, whatever the big search engine is wherever you’re located. James: Pretty much in the Western world, it’s Google. Kyle: If you’re in China, maybe it’s Baidu, I’m not sure exactly what the other ones are. James: I know, you know, when we look at all of the traffic for all of our restaurant websites, Google in Australia is about 98% of the traffic. Kyle: In terms of web traffic they start in Google? James: In terms of search traffic. Kyle: Got it, yeah, yeah, yeah. Of course. That’s huge. James: But there’s very few out there, apart from Google. Kyle: They’ve build a really great product that everybody loves to use, including myself. James: Yeah, absolutely. If they do find that there’s AdWords competition there, what do you recommend that they do? Kyle: I see no harm in, you know, identifying who is running there, who’s paying to rank above you and just sending a quick note and requesting for it to be removed. As long as there aren’t trademark violations, then they will be entitled to continue running. So, there are two approaches to it. One is you could be very threatening and say, you know, “We’re going to pull our business.” The other is just to say, you know, “We’d really appreciate it if you took this down.” Use whichever approach you’d like. But there is no reason to not ask for it from whoever is paying to rank above you. James: And if that doesn’t work, then you can effectively move to an alternative booking system. One would have thought. Kyle: Yeah. There are plenty out there and just the key point that I would put out there is just, it is a great idea to partner with somebody who is not incentivised to kind of go in and kind of scoop up all of your diners. Kyle: Work with somebody who promotes a positive relationship between you and your diner, and one that you are able to own, and one that they aren’t able to use to cross promote other competitive restaurants. James: And the answer is always fairly nebulous, because a lot of the time they’re just trading off the name of that restaurant rather than actually going out and doing any old school marketing, which is sad. Kyle: Yeah. That is sad. 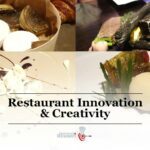 There are a lot of really great restaurant marketing guides out there. But would I would say is just, if you aren’t spending any time, just, you know, take a few hours, read through any of the guides. We can probably link to a few of them maybe in the link to this podcast, and experiment with things. You’d be really amazing. You know, if you aren’t sending emails to your previous diners, you know, if you’re announcing an upcoming event or a new guest chef, whatever it might be. A menu refresh etc. It’s a really kind of nice channel to just one-on-one communicate directly with your guests, and it’s quite profitable. And then, also play around with Facebook and Instagram and Google. Do it organically, so to create a following and everything. But there’s no harm in paying just to increase that increased exposure and find similar audiences. So, Facebook has, similar to Google, has become a little bit of a, it’s increasingly more of a pay to play arena. Any posts that you might post to your page, where before it was always surface up in feeds, more often than not post from pages are kind of buried down into your users feed. Where, you know, if their friend’s material is showing up higher, it’s just what they see people engage with more. So, they’re paying, you know, even just $5, $10 you’ll see that you’ll be able to boost a post and see some additional diners from it, it’s actually really fun. It’s fun watching that happen. James: Well, I think in a lot of respects the restaurant marketing function is in a little bit of a hollow, because in the old days everyone was quite happy to spend $10,000 on yellow pages. Restaurant marketing back then was really easy because, you know. You only had to do the ad and you did that once a year, and you probably didn’t change it. You just had to argue with your yellow pages rep and, you know, that was marketing for the year done. Kyle: Just negotiate an extra square inch, please. James: Yeah, exactly. Now, there’s very few people who are spending that kind of money annually on marketing, yet they used to do it all the time. You know, there’s a few people out there who are spending $12,000 which is a grand a month, and generally we’re finding that those people are crushing it. James: Because there’s very few people actually spending good money on Facebook. And it works. Kyle: It works, and it’s accountable. And they show you it works and they show you what doesn’t work, which is the more important part. Kyle: The yellow pages evolved. You did it in blind faith, great, you didn’t have to worry about much. But now it’s like, if you have just a little bit of time to focus on it, it’s a really powerful tool. Do more of what works and do less of what doesn’t work, and they’re really transparent about what does and doesn’t work. So, it’s a really great platform. I mean most of the online advertising platforms are like that. James: Excellent. Well, Kyle, thank you very much for talking us through a topic that’s a little bit complicated, very poorly understood within the industry, but has a huge effect on the profitability of so many restaurants. Like, we’re probably talking 100,000 restaurants throughout the world that would be affected by this, I would have that. Kyle: Yeah, that sounds about right. James: Yup. Probably more when you look at, that’s probably just bookings. So, when you look at takeout, as well, it’s a massive issue for restaurant profitability. So, thank you very much. Kyle: Yeah, thanks for having me. Great chatting, James. James: No worries, cheers buddy. Bye. Kyle: Alright, have a good one. Bye. James: So, there you go. A really interesting interview with Kyle around a quite badly understood practice that is fundamentally affecting the profitability of a lot of restaurants. When you take into account the fact that you’re sharing your customer database and the fact that you’re paying so much more for each of those seats that gets booked, my question is how many restaurants have closed their doors because of struggling profitability that could have been open if they weren’t the victims of AdWords Arbitrage? I think that’s a really important question to think about. Hopefully now you’re looking at it. And I know we’ve discussed this in a little bit of detail in previous podcasts, and I know every time we talk about it we get people emailing us, hitting us up on LinkedIn or on Facebook, asking those in-depth questions because they’re trying to get out of this problem that they’ve got with AdWords Arbitrage. So, of course, big things. Use a booking system that’s not going to compete against you. So, we’ve got our free online restaurant booking system. $20,000,000 worth of bookings and climbing, 10 countries. Super exciting. In Australia you’ve got Obee, Owen does a cracking job with those guys. You’ve got Tock, as well, in the US. There’s plenty of options out there, plenty of ethical companies that aren’t going to compete against you when it comes to taking bookings online. And I’m a massive fan of taking bookings online, it builds your database, it locks customers in. There’s a lot of good that can come from it and I think it’s a fundamental driver for profitability. Finding new customers and turning them into repeat customers. But, yeah, so many people they’re using companies that are actually competing against them. It’s not really partnering, it’s more ripping off. And I don’t think that that’s necessary. So, have a think about it. If you’ve got any questions hit us up, we’re more than happy to take lots of questions. We’re getting more and more emails as more and more people are listening to the podcast. I’m trying to keep up with them. But, yeah, look it’s really exciting getting those emails from, you know, all around the world. So, that’s it. I hope you have a really busy day in your non-AdWords Arbitraged restaurant. Bye.